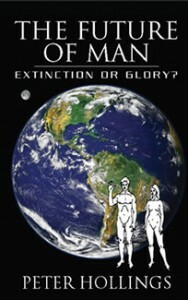 About the Book - The Future of Man - Extinction or Glory? About 50,000 years ago, our distant ancestors stood on the brink of extinction, numbering less than 2,000. Miraculously they survived and now the human population stands at 7 billion. But today we face new threats to our future. Humanity is deeply divided into religious, ethnic and national factions. Hatred is constantly flaring across the factions, manifesting in wars and terrorism. Adding to the worries are global warming, pollution, reduction of the ozone layer’s protection and increased health threats from drug resistant bacteria. In only a few generations, our species will either successfully ‘grow up’ to become ‘Future Man’ – or become extinct. To survive we have to shed our tribal past and become united as a species, committed to a noble future that could span millions, or even billions of years. But how can we do this? In search of an answer, the author draws upon current scientific knowledge to review the events that bring us to this crossroad, beginning with the ‘Big Bang’ and then tracking through time to the beginning of life on Earth and the emergence of Homo Sapiens as an intelligent species – before considering man’s spirituality and its manifestation in the many competing religions today. Our religions, in their extreme ‘fundamentalist’ form, have evolved into monstrosities that are doing far more harm than good. Are the atheists such as Richard Dawkins (‘The God Delusion’) right in rejecting the idea of God as ‘superstitious nonsense’? The future looks bleak – but there is a way!